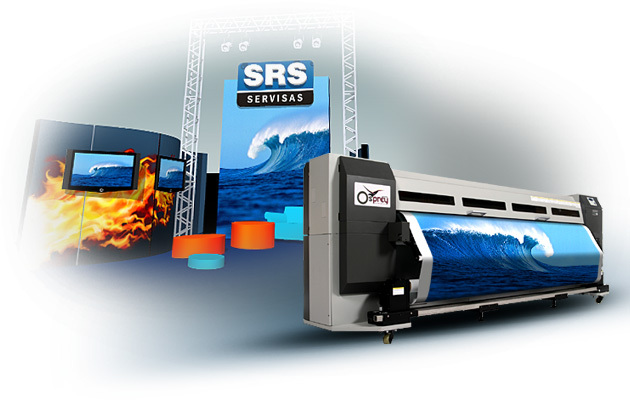 Digital printing has long been popular in the advertising market and is steadily gaining even more popularity. This is due to the versatility of digital printing, its decreasing cost, growing variety of printing materials and surfaces on which the print can be made. It can be printed on roll wrapping – PVC sheet, film, paper, and textiles. Specifical printing machines can be used for printing directly on the plastic plate, ceramic, stone, wood and even directly on products such as a bar of soap. 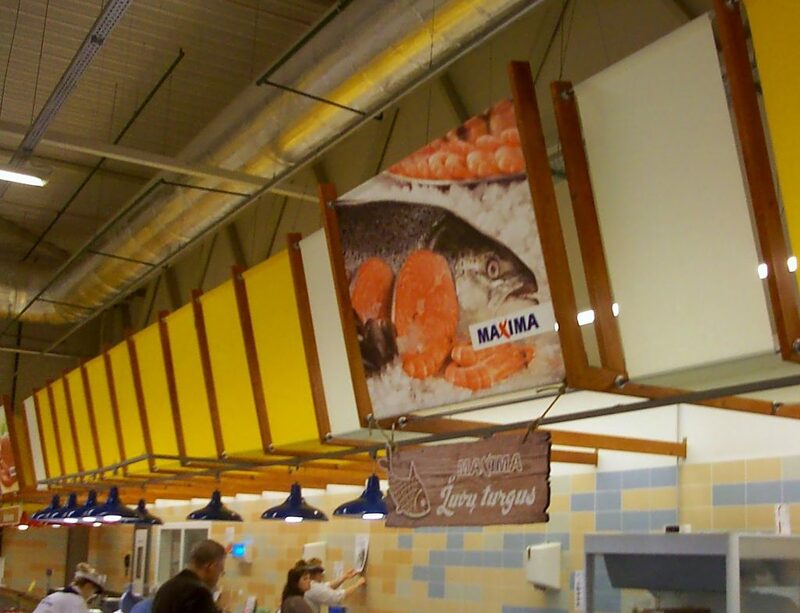 Efficient and fast printing of advertising is important but usually not sufficient for customers – advertising must be sealed, mounted or suspended in the customer’s specified location. Often, old advertising must first be removed before installing the new one. 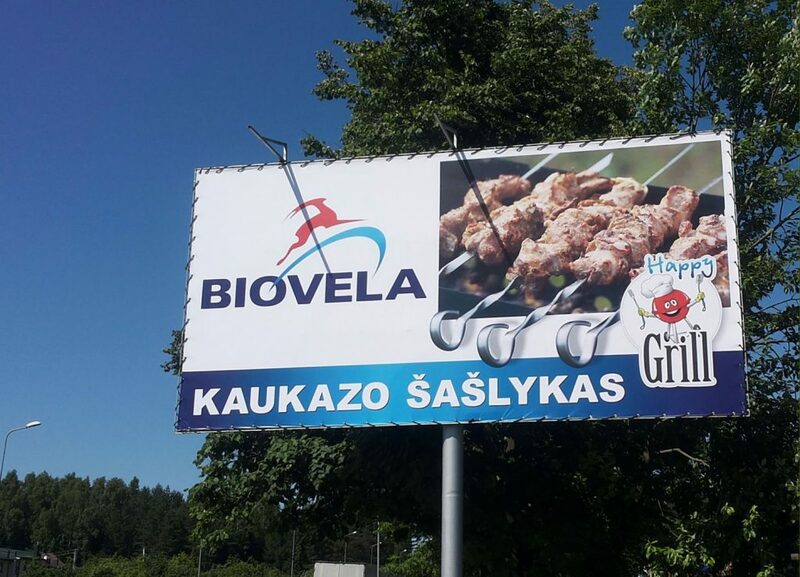 We can do this, as we have the teams of personnel in all larges Lithuanian cities, and can replace advertising all over Lithuania within a short period of time. 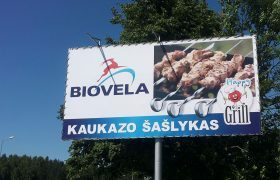 Outdoor advertising – advertising stands next to highways, on the walls of multi-story buildings. Where urban authorities tighten requirements for building appearance, digital printing is used to temporarily cover the facades of repaired or abandoned buildings. 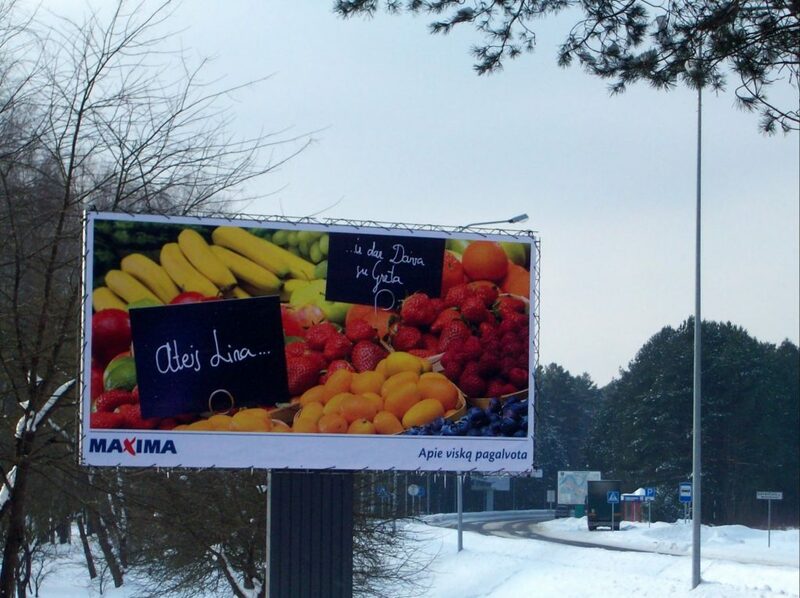 Printing of lower resolution is used for outdoor advertising as it is generally observed from a greater distance. The most common material is PVC tarpaulin, and coated fabric. 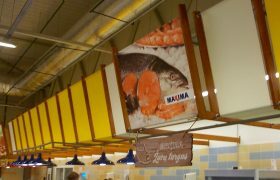 Indoor advertising – includes posters in sales points, cafes, cinemas, stickers on the windows, floor graphics, etc. 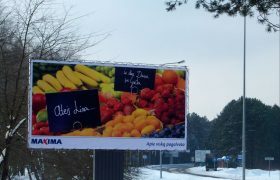 Higher print quality is required for smaller watching distances compared to outdoor advertising. A variety of materials are used – in addition to PVC sheet, various fabrics, adhesive films, paper. 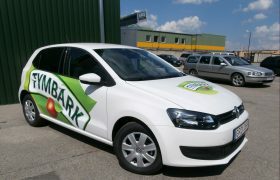 Advertising on vehicles – advertising on cars and trucks, trolley busses, buses and even on boats or aircraft. The material used is usually perforated adhesive film. 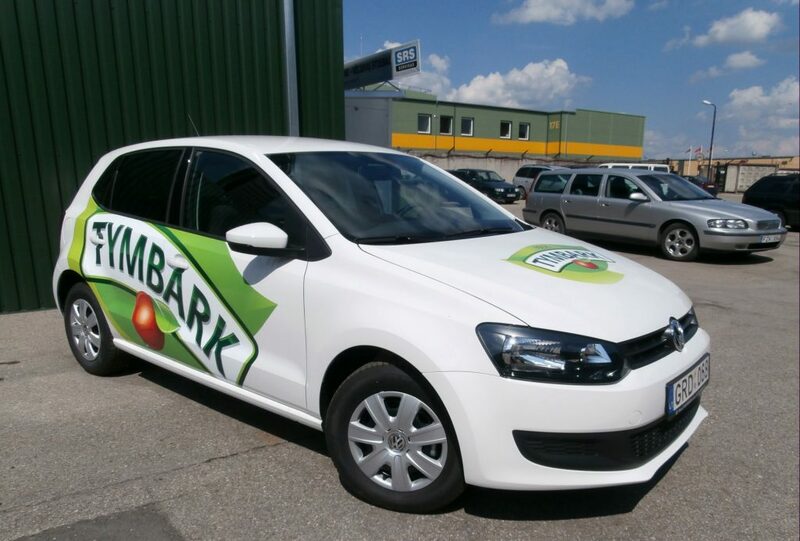 The latter is used for advertising on the windows of vehicles in order not to cover them completely, and make it possible for passengers to see through the window.